Salad, Sangria, & Salmon: Get Foody With S3 | Studio 3, Inc. The school year is here but before you say goodbye to all the summer festivities, remember there are still plenty of weekends to salvage the warm weather and sparkling sunshine. Which, as we know, is especially important to us PNWers who are used to…let’s say… a “shadier” type of living. It’s like we all announce, a packed week calls for a packed weekend! Here at Studio 3 we LOVE cookouts. 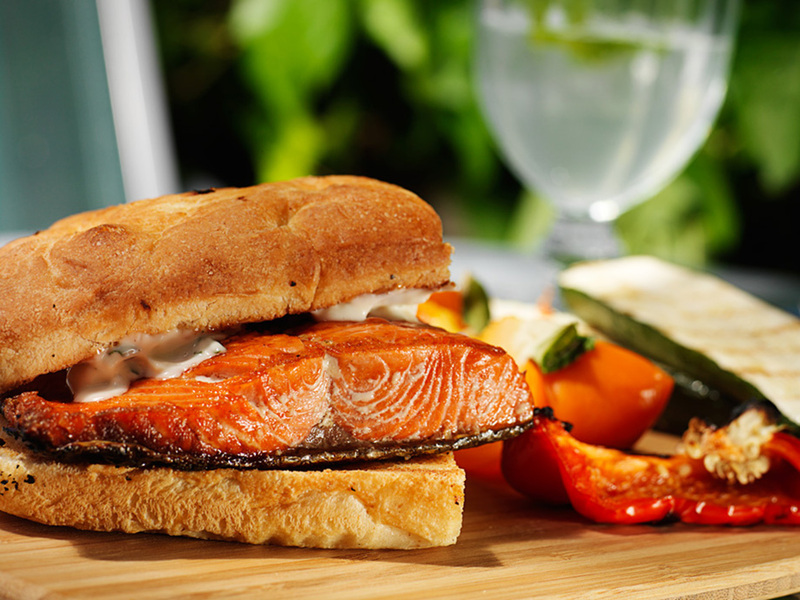 So why not sneak in one last backyard BBQ full of salad, sangria, and salmon? 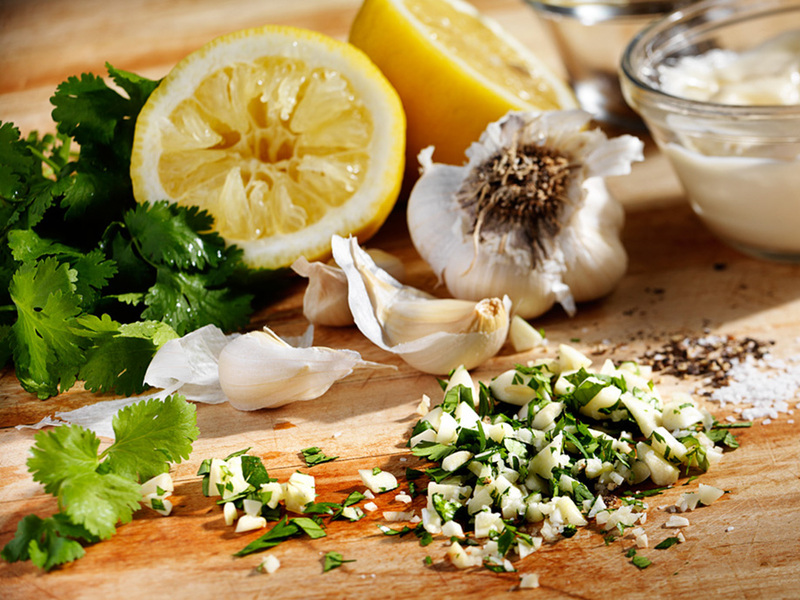 It’s always great to start with fresh ingredients from Portland Farmers Market. 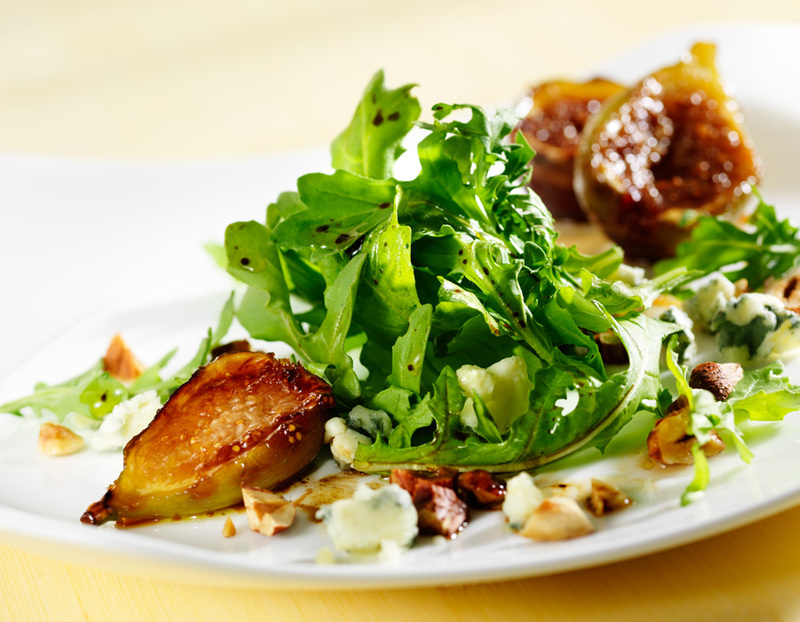 Easy tip: Use the Chef’n Citrus Juicer for a delectable topping to your salad. 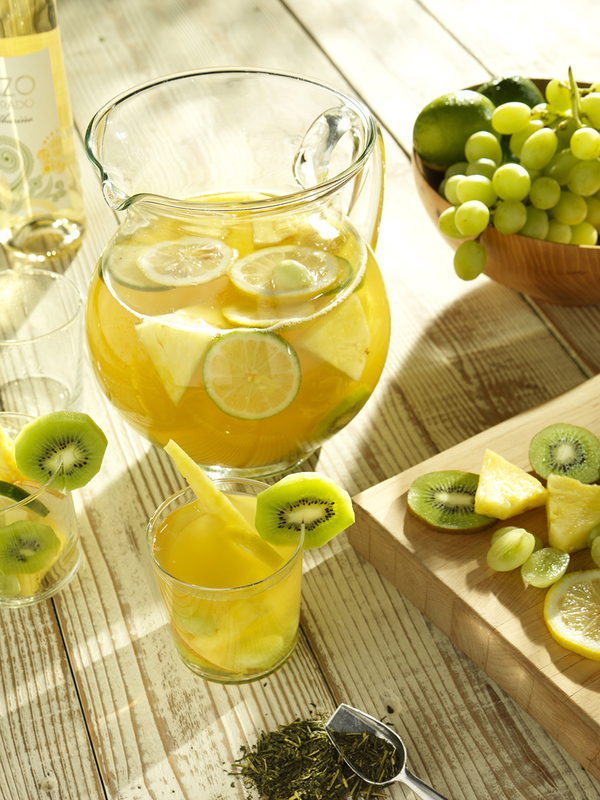 When you’re waiting for your charcoal to heat up on the grill, why not whip up this Sangria recipe made with Stash Tea. 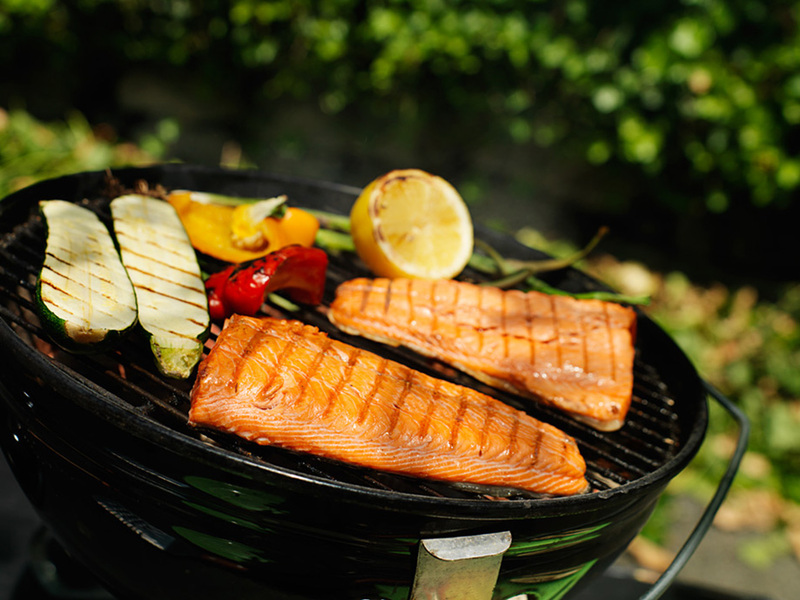 Grilling adds smokiness and texture to your salmon – it’s also an essential for any sort of backyard meal. Are you fishing for the perfect salmon recipe? Fall is around the corner but there’s still time for fun. Enjoy this meal and remember to soak up the sun. (and DRINK! ).